4Play has completely renovated the interior - everything is brand new and high end! You'll feel right at home when you walk through the door! 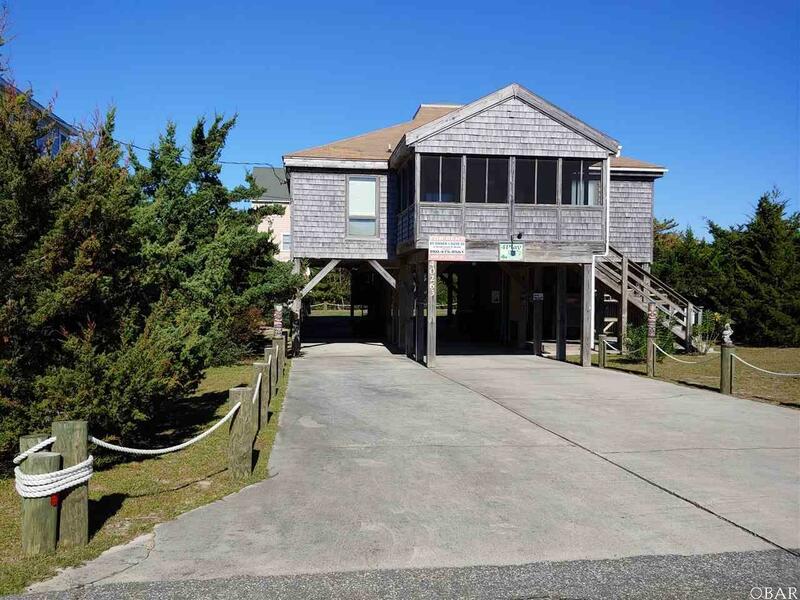 The street is quiet, lots of privacy and the walk to the beach is just minutes. 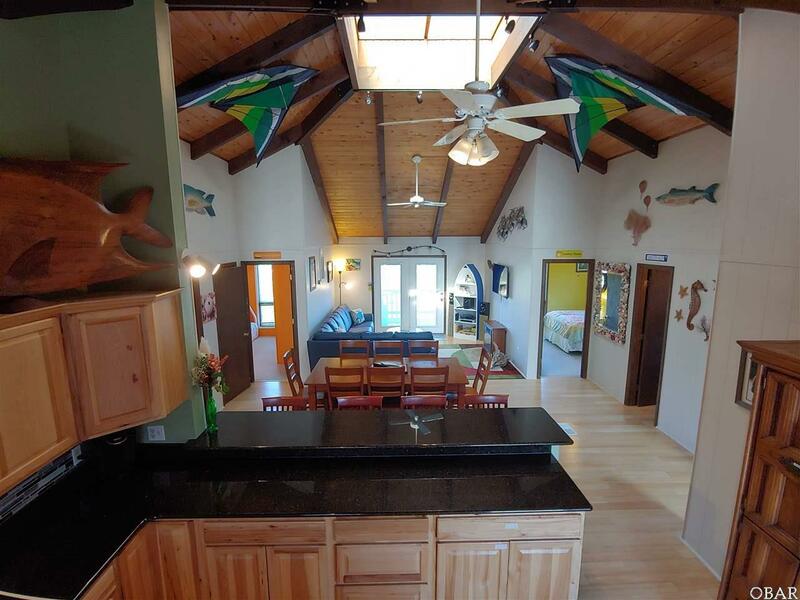 New bamboo floors throughout the open floor plan, modern natural hickory cabinets with granite countertops! Beautiful kitchen loaded with amenities. Large flat screen TV and infrared fireplace in living room, flat screen TVs in all bedrooms, washer & dryer, dishwasher, microwave & gas grill. 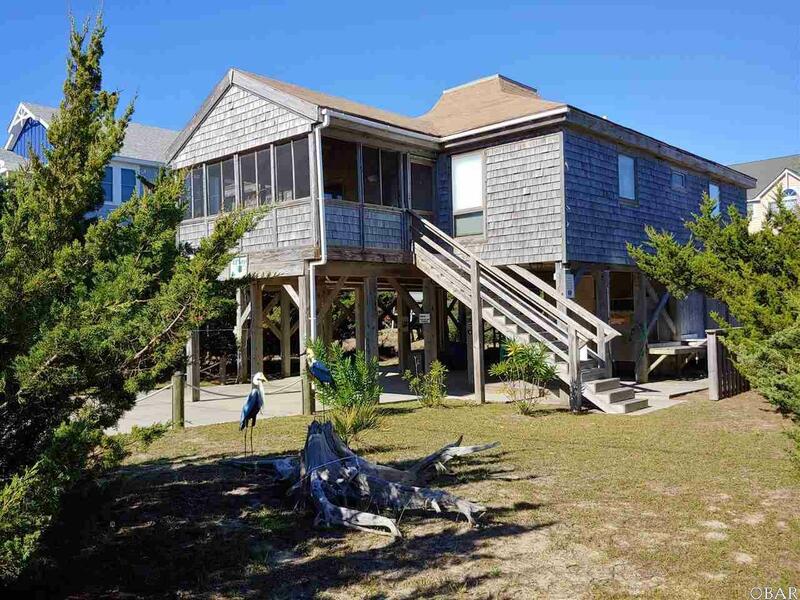 Spacious screened porch, a sun deck for cooking out and taking in a sunset, back yard fire pit, DVD's, Wii and board games for indoor entertainment. 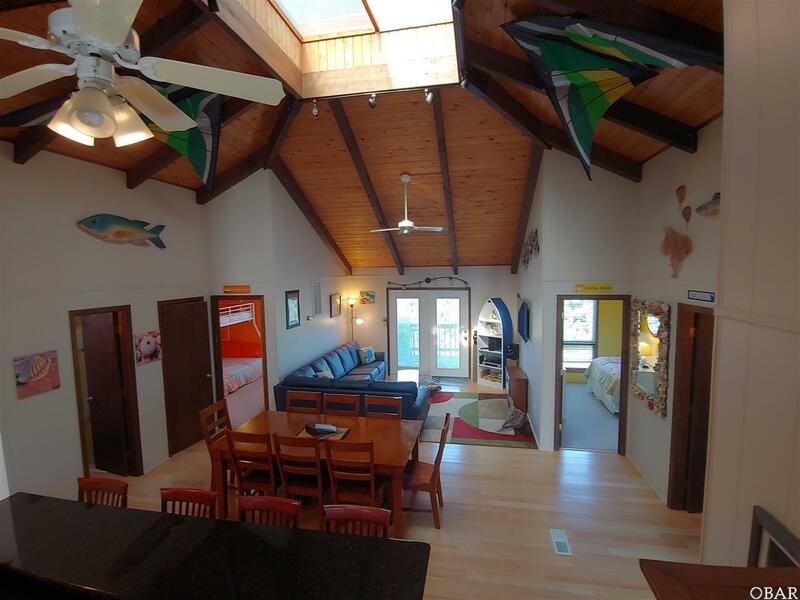 Short walk to several restaurants, Avon fishing pier, Spa Koru & bars. Beautifully landscaped. Huge shed/workshop with shelves, pegboard & racks galore. Awesome rental history. Excellent view of the July 4th firework show from the porch! Great owner closets and food pantry. There is great fishing both on the pier and surf fishing on the beach. Kiters can walk out to the beach or a jaunt to the sound. Kite point and Canadian Hole are a short 7 minute drive. Lots of amenities within a 5 minute drive. Listing courtesy of Misty Gillikin of Surf Or Sound Realty - Avon.